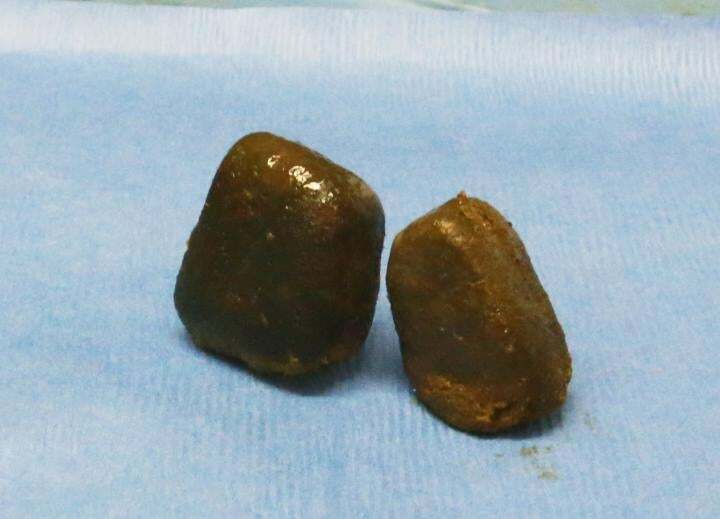 A bold team of scientists has delved into the mystery of cube-shaped wombat poo, uncovering the physiological processes involved in this unique digestive trick. Wombats are kind of obsessed with their own poo. These Australian marsupials can drop anywhere from four to eight pieces of dung, each measuring about 2 centimetres across, during a single excretion session. More impressive, however, is the cubic shape of their po. During the course one evening, these nocturnal creatures can produce 80 to 100 cubes of poop, which they then collect and strategically place around their domain. This scatological behaviour serves at least two purposes: the poop is used to mark the wombat’s territory and to, ahem, attract mates (don’t judge). The curiously geometrical dimensions improves stackability and prevents the poop from rolling away. The wombats’ cubic poop, therefore, is an evolutionary adaptation, and not just some irrelevant side-effect of biology. How the wombat’s body is able to create this cubic poo, however, isn’t fully understood (I know what you’re thinking, and no, wombats do not have square-shaped bum holes, but nice try). Patricia Yang, a postdoctoral fellow in mechanical engineering at the Georgia Institute of Technology, recently conducted an investigation on the matter. Yang is an expert in the hydrodynamics of bodily fluids, such as digested food, blood, and urine. The results of her research are set to be presented at the 71st Annual Meeting of the American Physical Society Division of Fluid Dynamics in Atlanta. Yang and her colleagues performed autopsies on wombats that had to be euthanised following motor vehicle accidents. The researchers focused on the animal’s alimentary system, otherwise known as the digestive tract. Yang and her colleagues noticed that, toward the final 8 per cent of a turd’s long journey through the digestive tract (it takes up to 2.5 weeks for consumed food to make its way down the wombat’s alimentary canal), the consistency of the poop changed from liquid to solid. At this stage, the poop consisted of small, discrete cubes, each measuring about 2 centimetres wide— but it’s here where the magic happens, that is, the change from a characteristically tubular poop shape to one resembling a cube. The transformation, said Yang, is caused by the variable elastic properties of the wombat’s intestinal wall. By emptying the intestine and inflating it with a long balloon, Yang’s team found that the elastic strain on the poo varies from 20 per cent at the cube’s corners to 75 per cent at its edges. The walls of the intestines, as this research shows, are literally shaping the poo through the strategic placement of pressure.